Alana Seebarran from Guyana won the Miss India Worldwide 2012 beauty pageant which was held in Paramaribo, Suriname on Feb 25, 2012. In all there were 35 contestants of Indian origin from all over the world, except India. 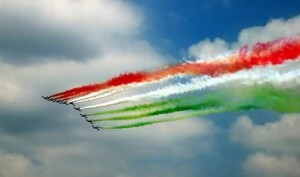 The 2012 Femina Miss India contest is in March 2012. Miss India Guyana, Alana Seebarran, was crowned the Winner of Miss India Worldwide 2012. Alana received the highest scores in the Talent contest and in the Question-Answer contest. For the Talent contest, Alana performed an Indian folk dance and a Bollywood act. 24 year old Alana is a marketing student from York University in Canada. Alana Seebarran is also an accomplished dancer who teaches Indian classical dance. Her family lives in Guyana. Miss India Kuwait, Anvita Sudarshan, was First Runner Up at Miss India Worldwide 2012. Anvita Sudarshan, who is originally from Mysore, now lives in Mumbai, India. She was a finalist at the “I Am She” (Miss Universe India 2011) beauty pageant. Anvita currently works as an assistant to Hindi movie director Aditya Bhattacharya. At the age of 14 she was a junior editor of a magazine called Junior Geo. She was later an assistant editor of the popular children’s magazine Tinkle. Anvita has done commercials for Big Bazaar and Bausch and Laumb. Miss India Australia, Olivia Rose Bourrillon, was Second Runner Up at Miss India Worldwide 2012. 18 year old Olivia Rose Bourrillon from Hamilton, Australia, is a student at Newcastle, New South Wales, Australia. Olivia’s father is Indian and her mother is Australian-Italian. For the Talent contest, Olivia performed a fusion ballet dance with Indian music. Earlier this year, she had won the Miss India Australia 2012 crown. 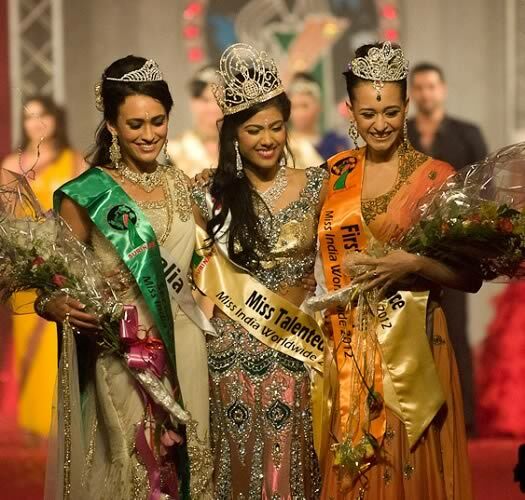 Incidentally, the 2011 Miss India Worldwide winner was from Australia, Ankita Ghazan.